Sandstone Properties | 21515 Vanowen St. 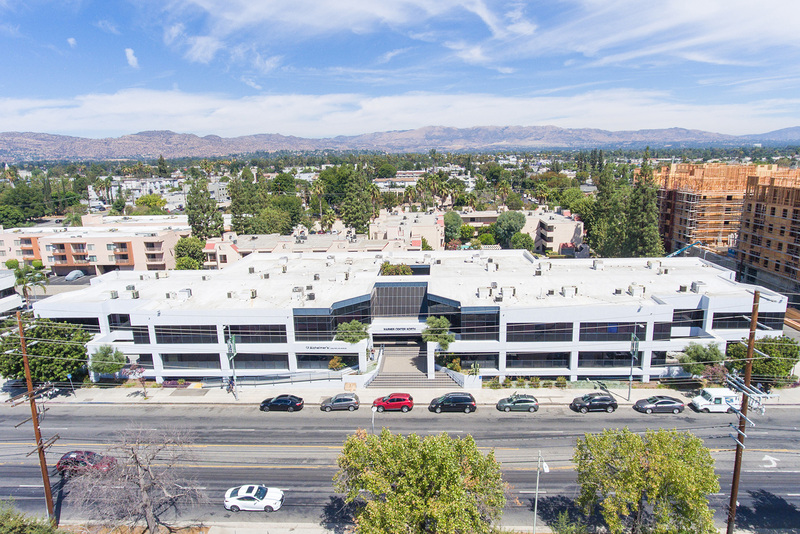 This Warner Center office building contains 52,847 square feet of space situated on 1.0 acres in the “River District” of the Warner Center 2035 Specific Plan. 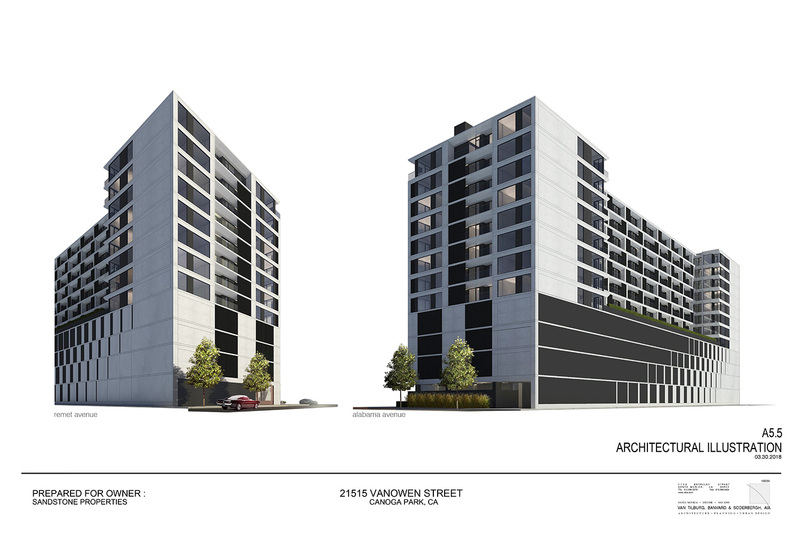 Since purchasing the property in November of 2016, Sandstone has invested funds in pre-entitlement activity to by right entitle the property for a 184 unit apartment project. We have filed for a 3.7 FAR project with over 147,000 square feet for rentable space. We anticipate receiving a memorandum of understanding/letter of determination from the City of Los Angeles in early 2019. 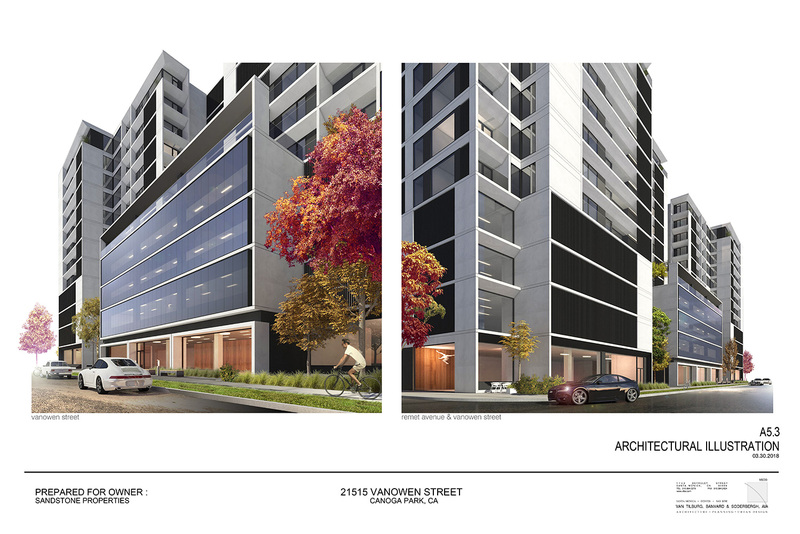 The planned development will have views of the mountains to both the north and the south. The project is within walking distance of the Westfield Topanga Mall.